three sizes our Fiji Weave Log Baskets are all hand woven from our stunning BIG CORE outdoor rattan weave which is exclusive to us. The rattan strands are woven in three sizes – 12, 14 and 16mm – giving the basket that natural appearance and feel throughout. 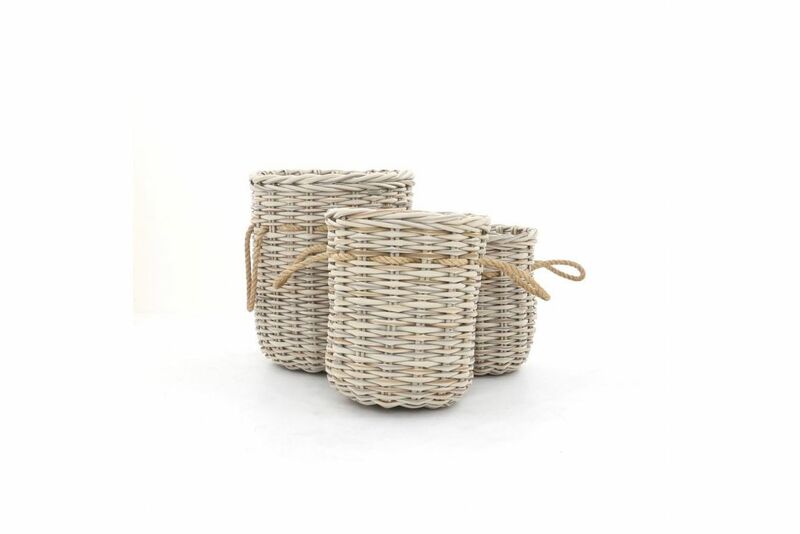 The rope weave handles are cleverly interwoven with the rattan itself to offer two sturdy carrying option for both heavy and light loads making them perfect for long lasting, regular use. The rattan fibres themselves have both UV stabilisers and colour fast additives added during production giving them that non-fade quality in direct sunlight. The fibres are also tested for use in a wide range of outdoor temperatures to guard against cracking or splitting over time.